Did you know there is such a thing as essential oil contamination? I was recently at an event sharing the benefits of essential oils, and letting attendees smell and connect with the different scents. One lady came up to me and told me how much she loves essential oils. She then excitedly grabbed the bottle out of my hand, opened the lid and placed her fingers over the orifice reducer top to “shake it up” (you do not need to shake up your essential oils in this manner). She then proceeded to dab the orifice reducer top portion all over her arms. I was stunned and taken aback by the shear disrespect of taking my oil (nevertheless the expense) and applying it directly to her skin. My bottle was now contaminated. I can no longer use this same bottle to share with others, or to blend with. I didn’t know where her hands had been exposed, were they clean, not around anyone with a cold or flu, etc. My second thought was, what propelled her to confidently grab my bottle and start applying it directly to her skin? Where in her training of essential oils, did she learn to do that? So, I asked her. She said that she was at a friend’s house for an aromatherapy party, and this is how she was taught to use her essential oils. My goodness, really? I took this opportunity to properly educate her on proper use, sniffing techniques and application methods, as well as honoring someone else’s oils. She said she never thought about contamination. I proposed the analogy of grabbing food from someone’s plate to smell or taste it, then return it to their plate. Very impolite, unclean, uneducated and discourteous. 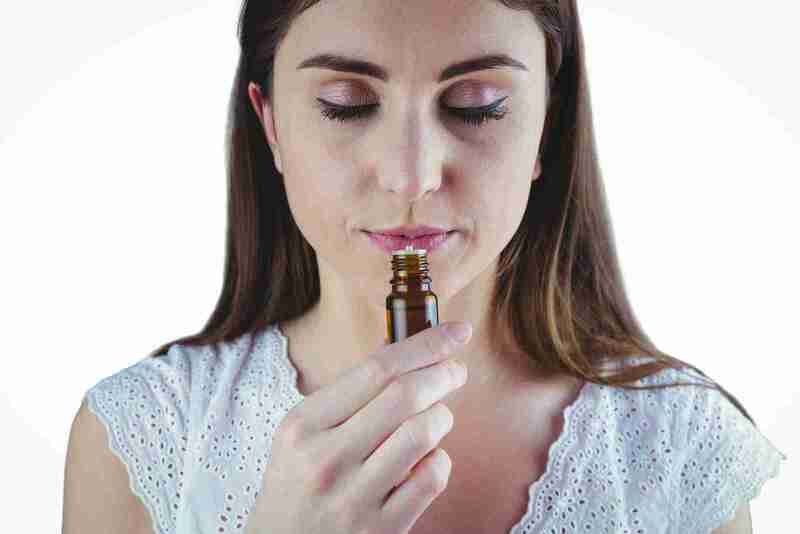 To properly smell an essential oil, it is best to get it out of the bottle. You do not want anything to touch the orifice reducer top (the plastic insert that allows the essential oils to flow out and in). You can hold the bottle upright and allow 1-2 drops to pour out onto a cloth or napkin. If you want to quick sniff, you can gently tip the top upside side once or twice, with the cap on, to help a drop of oil sit in the cap. Then, open the bottle and smell the lid. One note of advice, if you cannot see the lid when you are smelling it, up close or in your peripheral vision, the cap is too close. You do not want your nose, or anyone else’s too touch that cap. If that happens, my recommendation is to replace that cap. it is much easier to replace a cap than the entire bottle of essential oil. If you are smelling someone else’s essential oil(s), ask for permission to do so first. Then, follow the sniffing etiquette I just shared. You can waft the essential oil bottle cap from side to side under the nose, to get the essence of what that scent smell like. Ultimately, it is best to get that scent out of the bottle to appreciate all of the notes and layers it has to offer. I like to add to a small amount of Epsom or sea salt as this can hold onto the scent, without interfering with the scent. Immediately replace the cap of the essential oil bottle after you use it, to help limit its oxidation. If you leave the cap off of the oil for too long (hours to days), you risk the chance of decreasing its potency and scent power. If you are going to apply to your skin, I recommend adding it to a carrier first, as you might not be trained in it skin toxicity level, skin sensitivity, contraindications to health conditions or potency. Lavender (burns, skin trauma) and patchouli (anti-itch) are exceptions for me, as long as you know you how your body will respond. As with anything, you need to be responsible when using your essential oils. They are incredibly wonderful remedies that offer substantial power and benefits. However, when used improperly, without regard to etiquette to their influence, you can cause someone to have an unhappy, unhealthy and/or adverse experience. Whether you are new to aromatherapy, familiar with essential oils, or a professionally certified aromatherapist, we need to stick together for the sake of aromatic safety and respect. Let’s aromatherapy responsibly together! Is there a way to undo such contamination? I may have used one of my oils in a hurry and not washed my hands before I touched it (it’s in a wide-mouthed jar)–eek, I know. Help! Hi Sophie, unfortunately, there is no way to undo contamination. Some healthy practices to follow in the future to avoid contamination and cross-contamination are to never touch the rim of your essential oils with your hands, surfaces or touching the rim of another jar or bottle. When you add your essential oils to any bottle or jar, it should be held upright, above the opening, rather than resting on the rim. If you happen to touch an essential to the rim of the jar or bottle, you can wipe off the excess residue using a cloth, before adding the next ingredient. Love this article! You are sharing the great info. Thanks a lot for sharing the article.